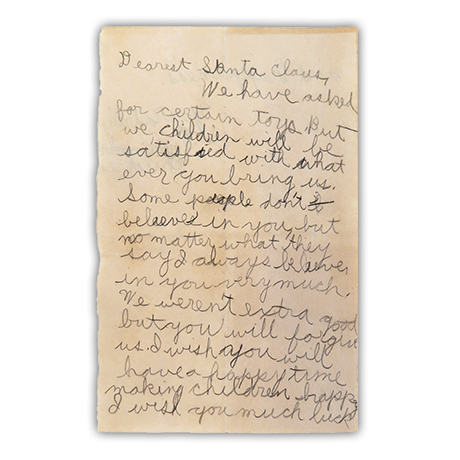 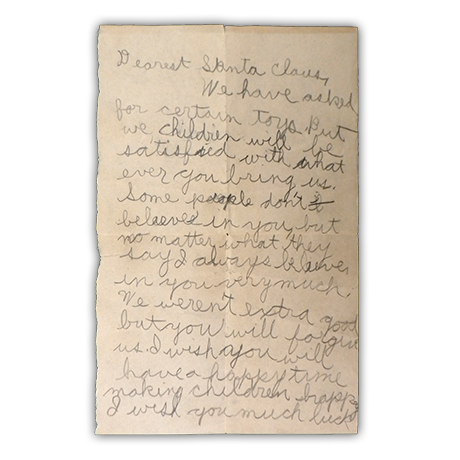 Written in 1930, this letter to Santa Claus held great sentimental value to the family of the writer. 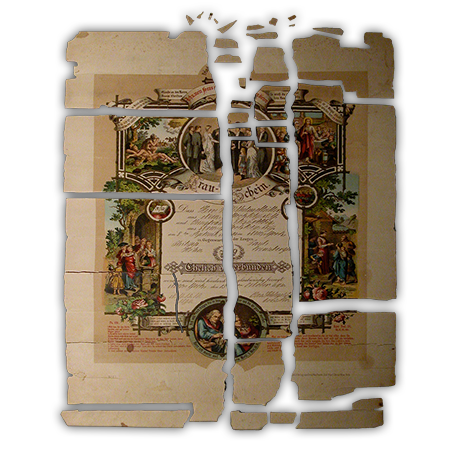 Our conservators helped this family to preserve the letter for future generations by repairing the tears, strengthening the paper, and deacidifying it to prevent further deterioration. 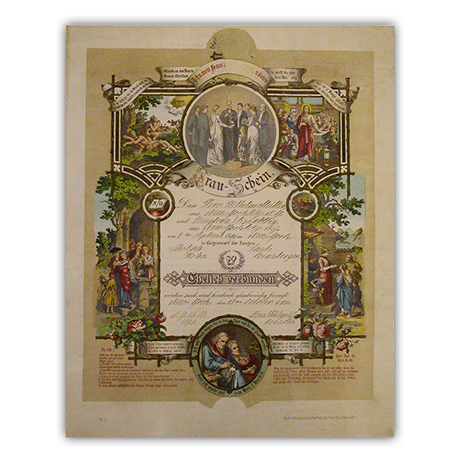 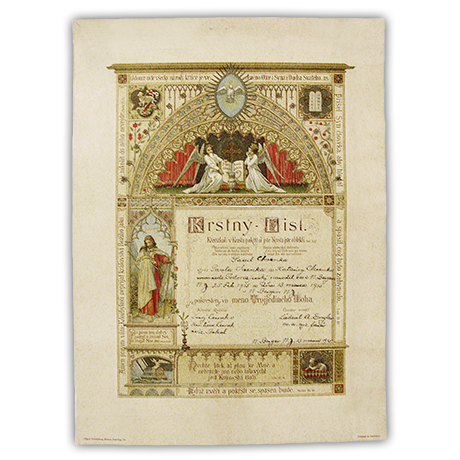 Facsimiles of the letter were also made for each member of the family. 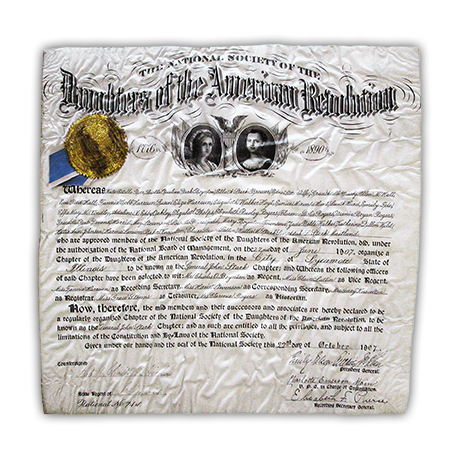 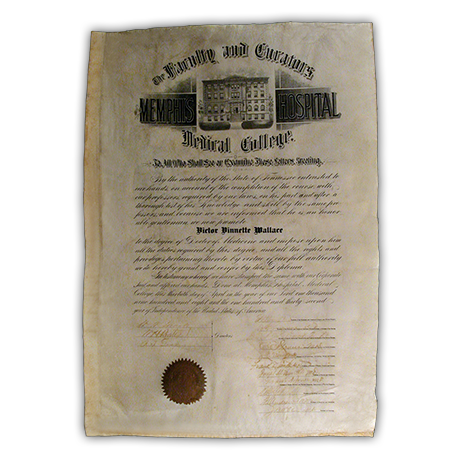 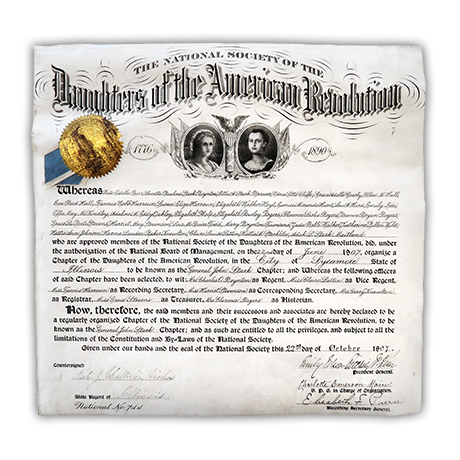 This 1907 Daughters of the American Revolution certificate on vellum was severely distorted with cockling and creasing. 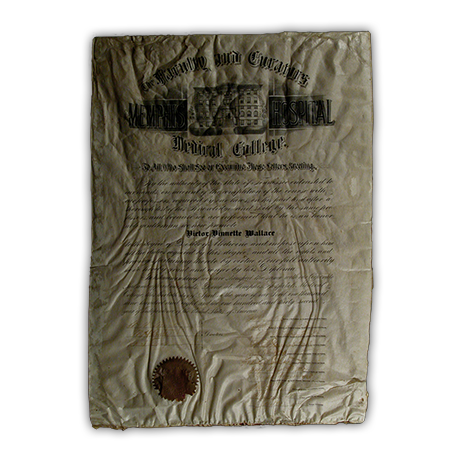 The ripples in the material were so extreme that the seal on the upper left of the certificate had begun to come loose from the surface. 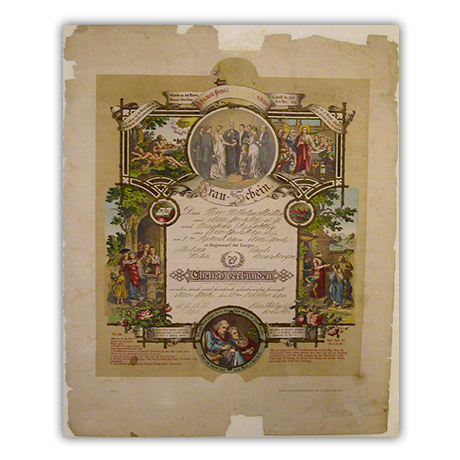 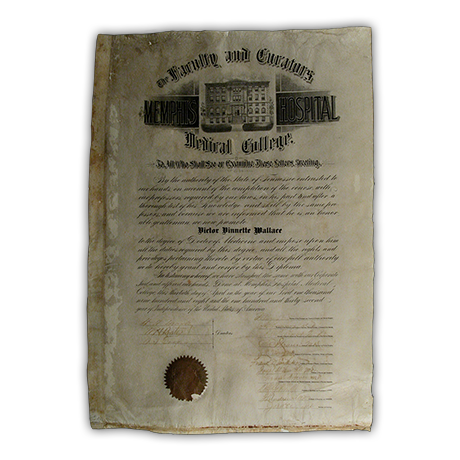 By humidifying and flattening the piece and reattaching the seal, our conservators restored the certificate to an archival state. 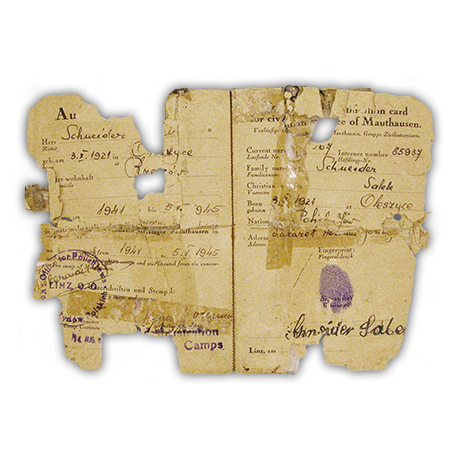 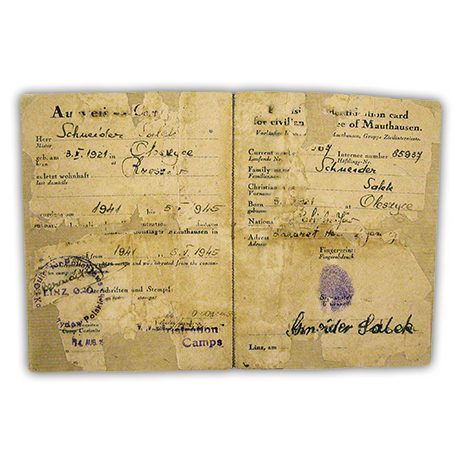 Extremely fragile and damaged, this Holocaust identification card required stabilizing and strengthening to preserve it for posterity. 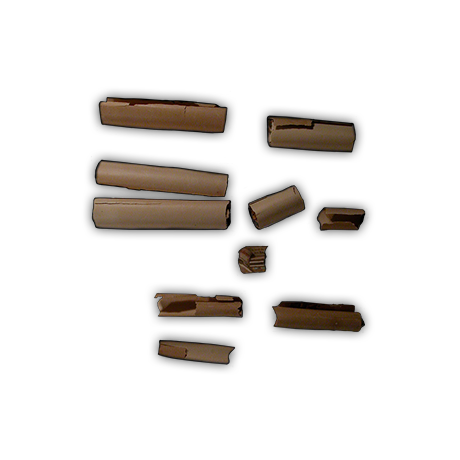 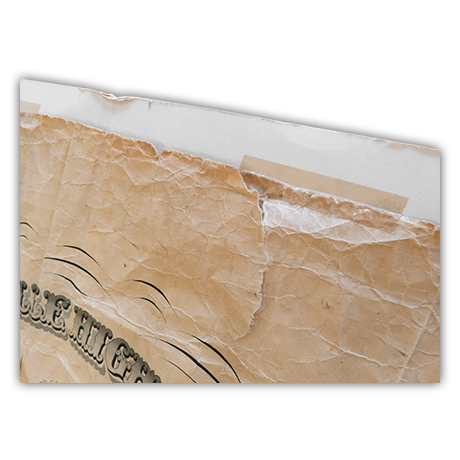 These repairs were achieved by filling the paper losses with toned Japanese tissue. 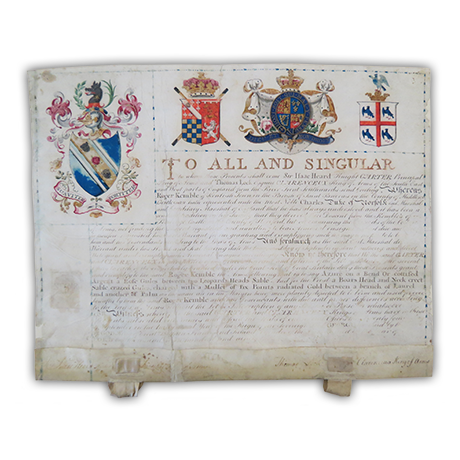 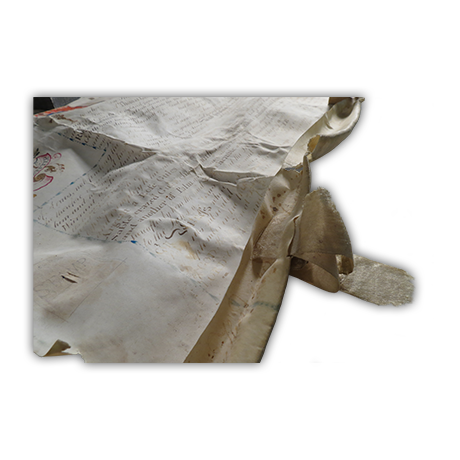 Because the soluble inks on the document precluded any wet treatment, tape, dirt, and staining were removed through dry cleaning processes. 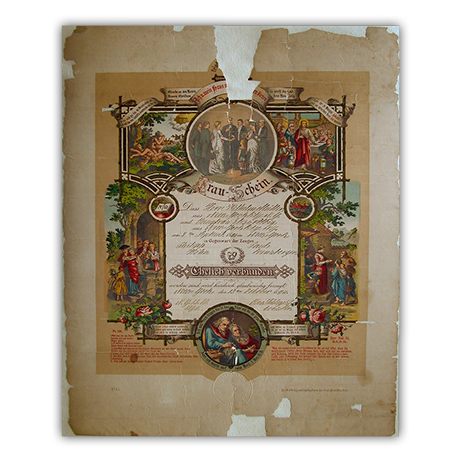 This baptism certificate had been folded and torn. 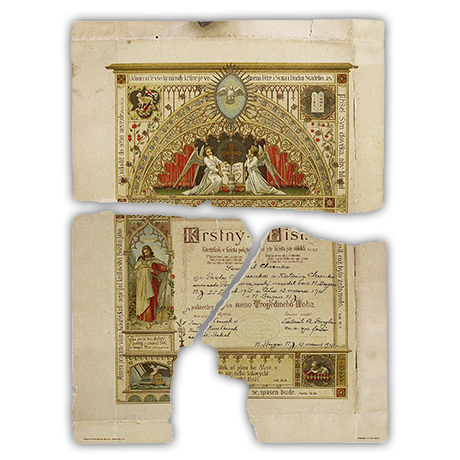 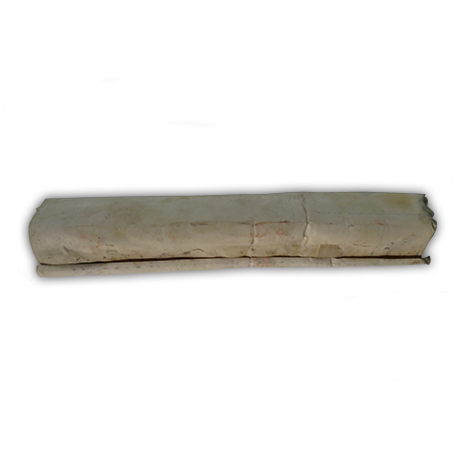 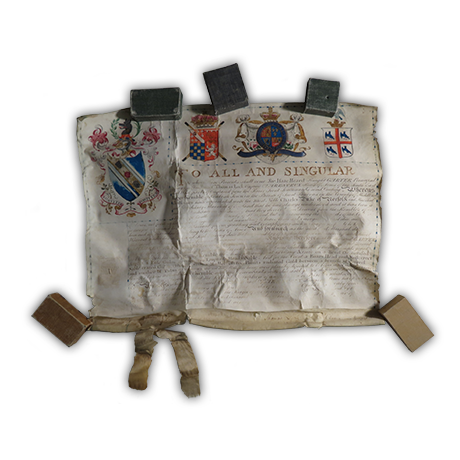 Our conservators successfully put the pieces of this document back together again and lined it for extra strength. 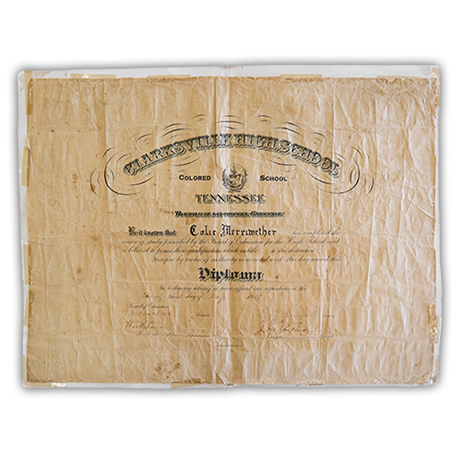 Careful dry cleaning and flattening of the creases along with inpainting ink losses helped return the document to an archival condition. 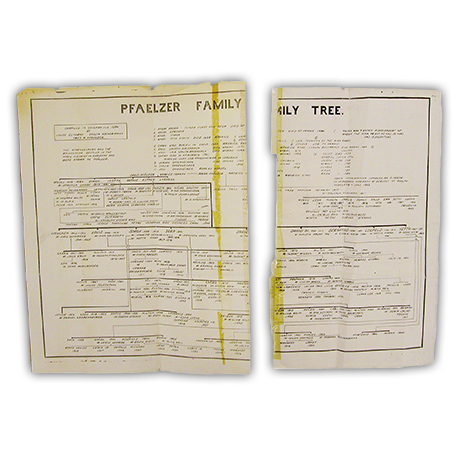 Our conservators treated this family tree by first removing old tape and adhesive residue. 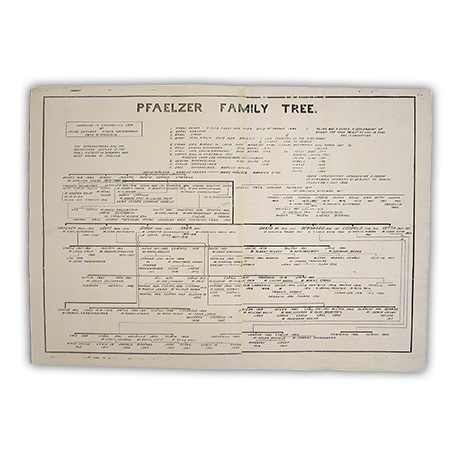 They then reduced its stains and repaired its tears, giving the important family document new life for future generations. 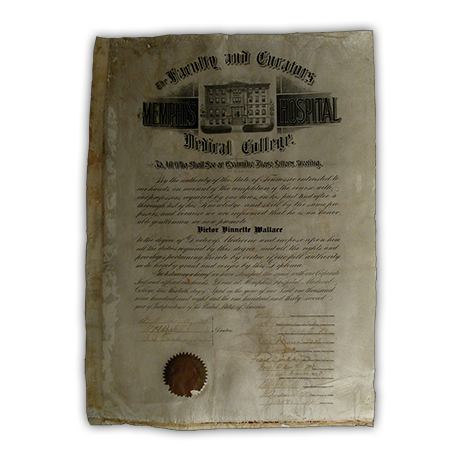 This vellum diploma was cockled and creased by exposure to humidity. 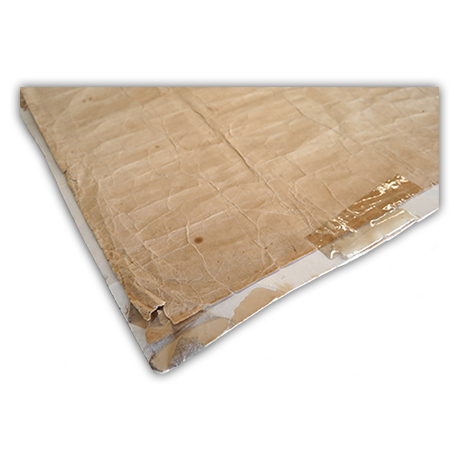 Our conservators flattened the hard creases and reduced the adhesive residue along the edges of the piece. 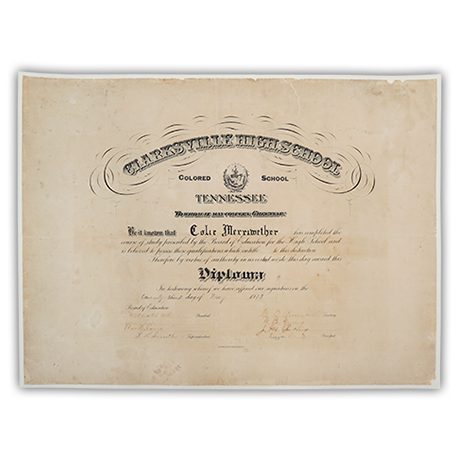 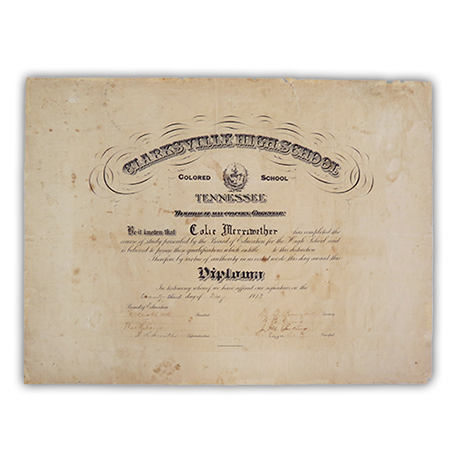 They also repaired and reattached the torn paper seal at the bottom of the diploma.